Leaving Haverhill Market Sq @ 9am on Sundays. Bring money for cake! If you’re reading this then it is most likely because you have an interest in cycling. You are new to the sport or thinking about getting out on two wheels for the first time in a while or perhaps you are an experienced rider who is now seeking the companionship of other like-minded individuals. Whatever your reason, we hope that our fun and friendly cycling club has something to offer you. 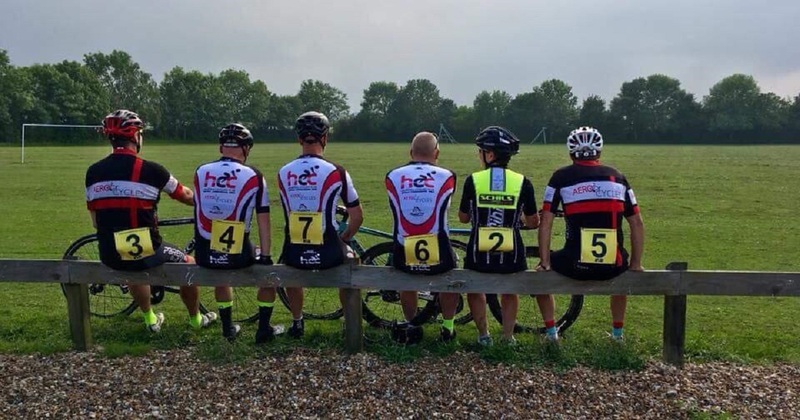 Established in 2013, HCC follows a long tradition of cycling clubs in the local area. With our current membership including riders from many of the surrounding villages as well as the town itself, our members range from the occasional leisure cyclist to those more of a racing disposition but what underpins all of this is a love of all things bike. We endeavour to hold a number of different rides on a regular basis and hope that you will find one to suit you. These include social rides as well as those which focus more on training to improve technique and time. The invitation is there for anyone to come along and try out a couple of rides before committing to becoming a member but we are confident that having taken that first step you will want to come back for more! Please do have a look through our website to help you decide what may be of interest to you and we hope to welcome you out on one of our rides very soon. You can also find us on Facebook with a very active page of ride reports, events, updates and discussion. HCC has a variety of regular rides, from social bimbles to find the best cake, to chaingangs and race pace rides. Something for everyone. Some HCC members are qualified British Cycling coaches and were able to offer safe cycling courses for the local youngsters. Haverhill Cycling Club is only as strong as its membership. We hold regular meetings and reviews to make sure the club is offering its club members the best possible facilities. Our ride leaders are experienced in leading rides at all levels. They strive to find quiet roads, the best cake and great coffee. Welcome to our new home on the internet. We are working hard to keep everyone in the club and the local area updated with our plans through this website and our Facebook page.